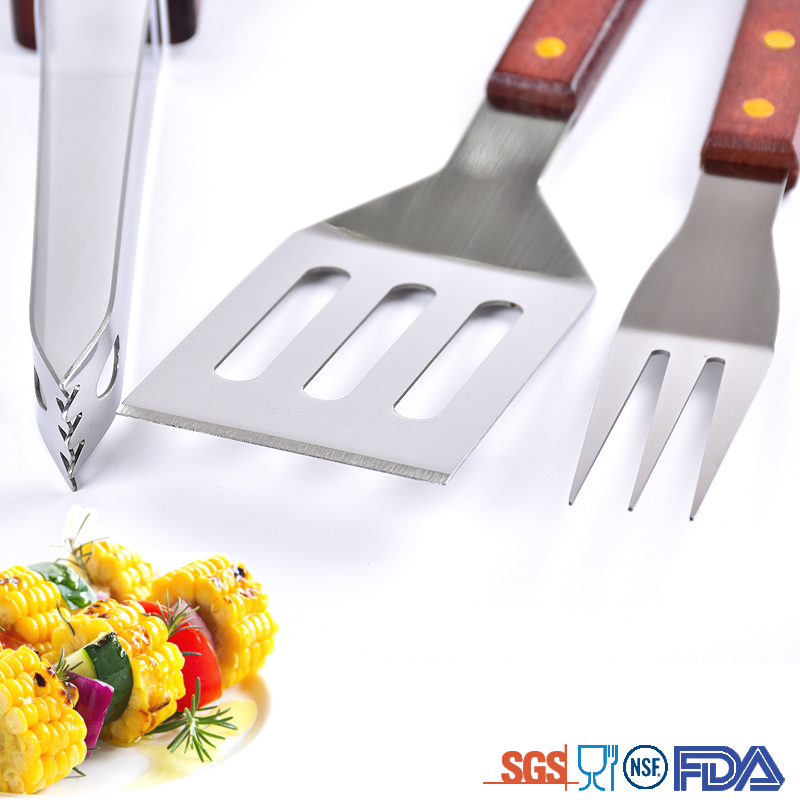 4pcs combination stainless steel bbq grilling tool set is made from good light stainless steel 430#, they are non-rust, stable and heat-resisting. The plastic position of the handles could prevent slipping and well protect your hands. Packing: poly bag, carry bag ,color box,or as your request. 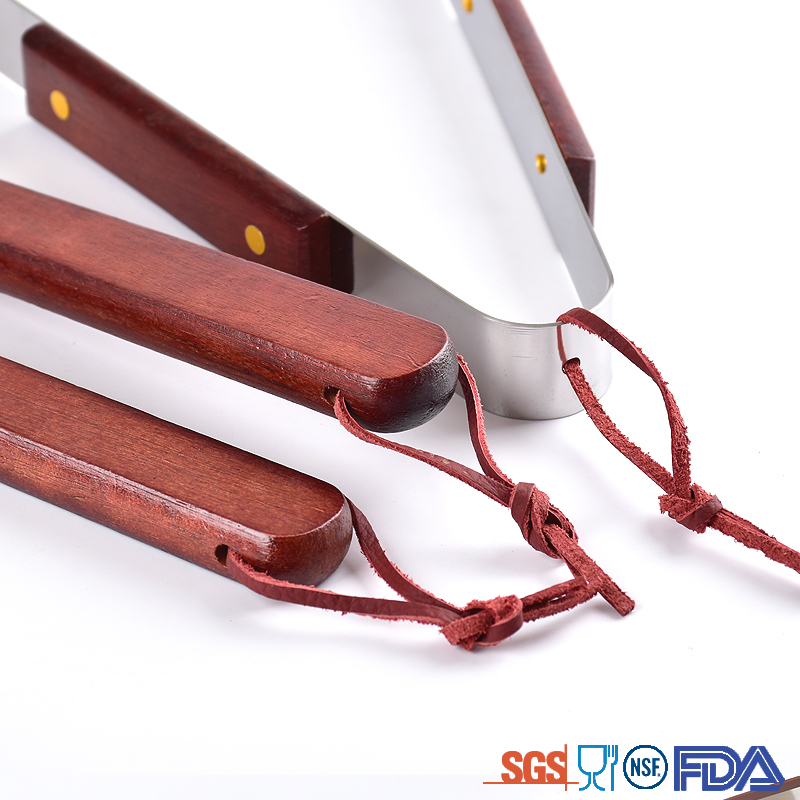 This Factory price stainless steel bbq grilling tool set is Stainless steel handles Bbq Tools, which is including knife, tong, spatula and fork 4 pcs Bbq Tools Set, good quality and unique shapes, And we also have some BBQ Accessory for combination. 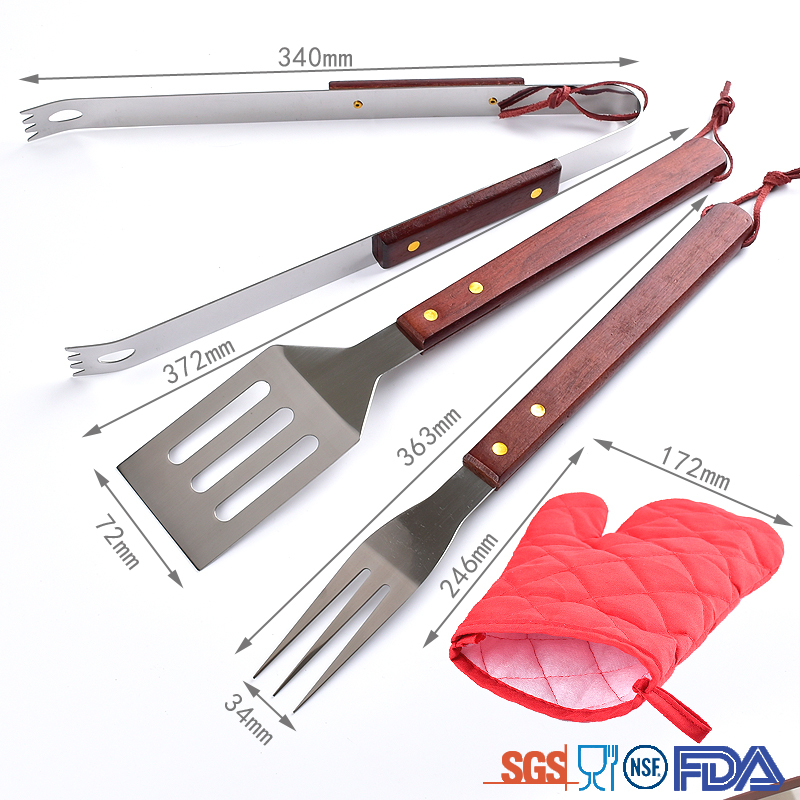 It will be so convenient if we bring the Kitchen Accessory like Can Opener, scissors with these BBQ Tools Set to the Barbecue party. 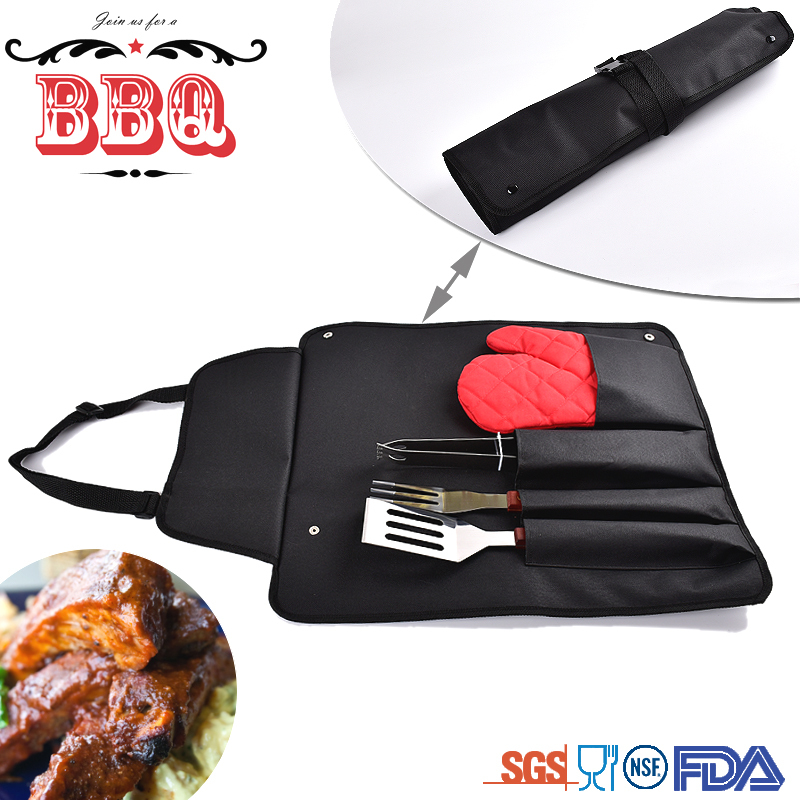 Looking for ideal Bbq Tool with Apron Bag Manufacturer & supplier ? We have a wide selection at great prices to help you get creative. 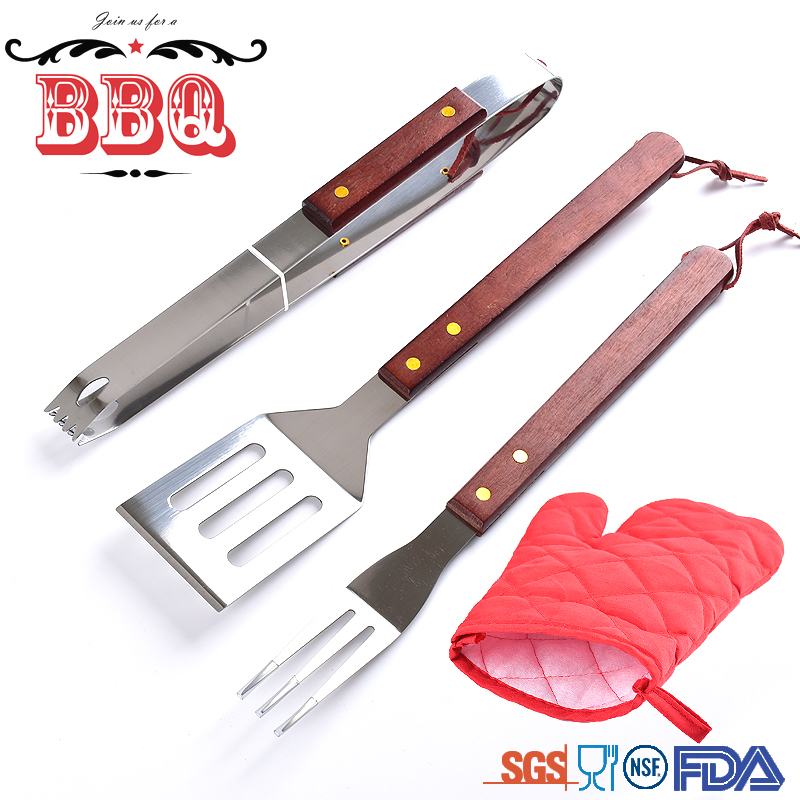 All the Bbq Tool Set with Apron are quality guaranteed. 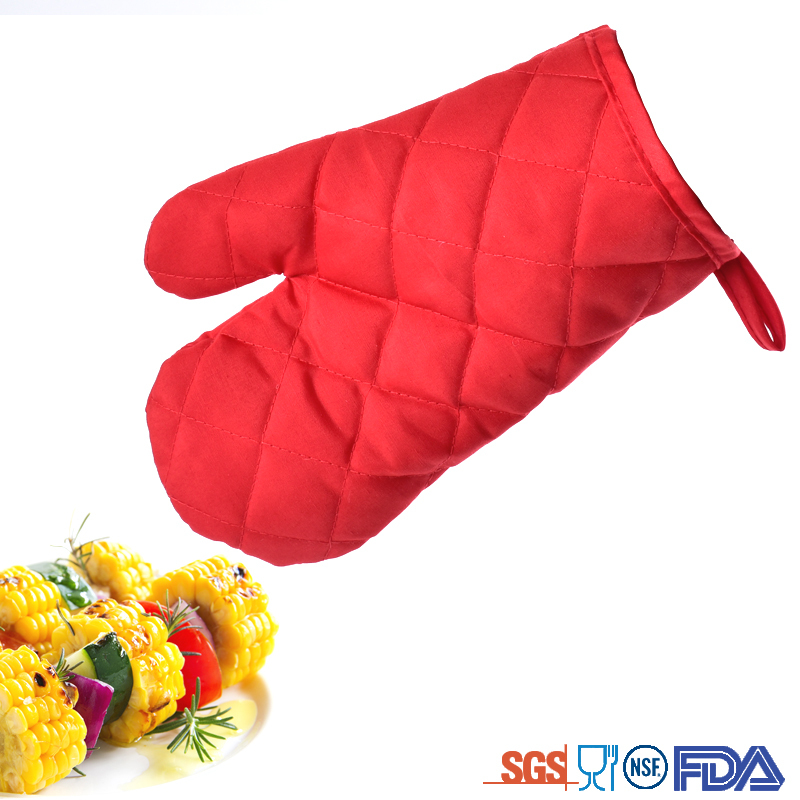 We are China Origin Factory of Bbq Tool Set and Glove. If you have any question, please feel free to contact us.